If you want to get somewhere fast, logic dictates that you should jump on a jet plane. 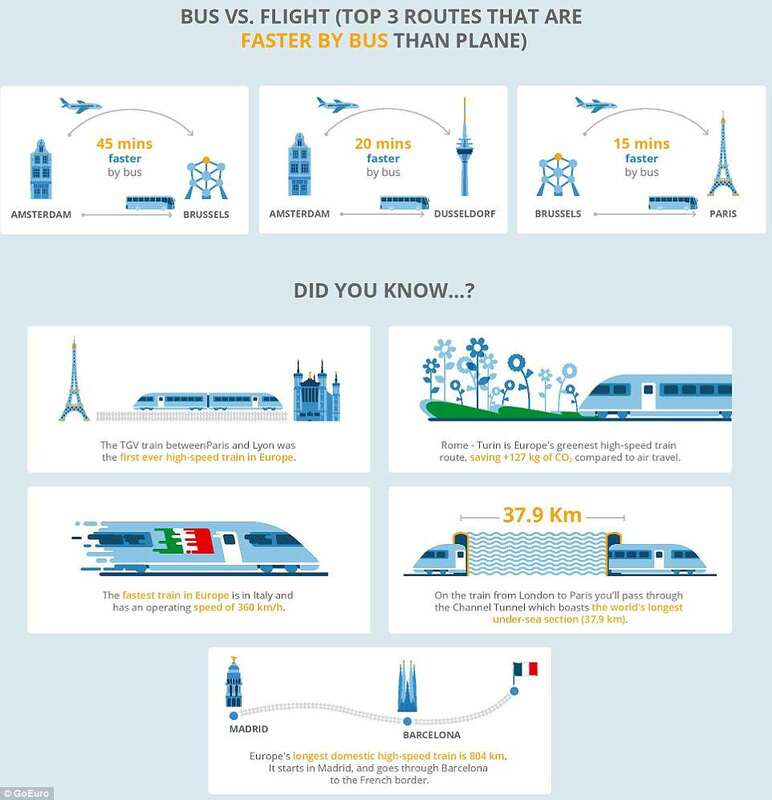 But think again – because new research has revealed, with the help of a handy infographic, that trains are often quicker, and sometimes even buses. 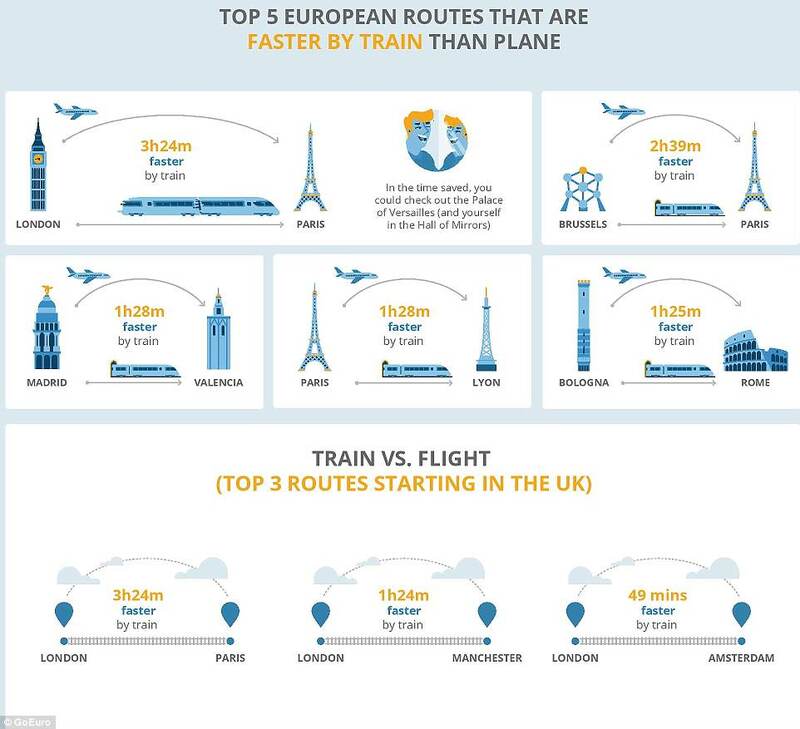 It has picked out several plane routes that are completed more quickly by train, including London to Paris, London to Manchester and Brussels to Paris. Meanwhile Amsterdam to Brussels takes three and a half hours by plane, but only two hours and 45 minutes by bus. The study, by GoEuro, worked out the savings by taking into account the extra hurdles passengers face when flying, such as going through security and transfer times. GoEuro also highlights the environmental benefits of travelling by train.